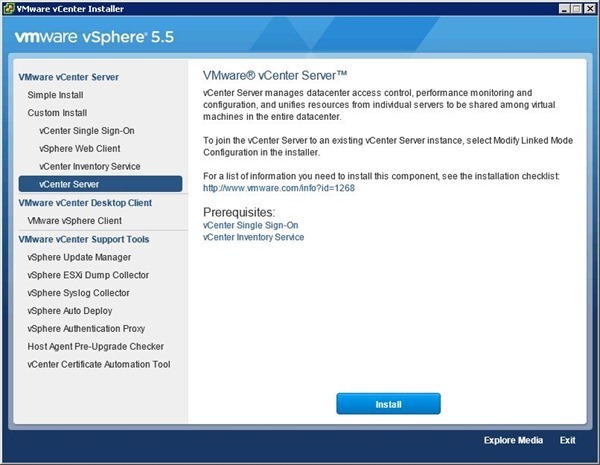 Installing vCenter Server allows the system to manage configurations, datacenters, performances and resources within the network virtual infrastructure. 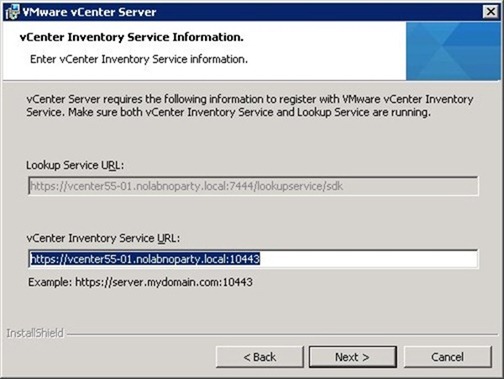 vCenter Server requires SSO and Inventory service installed in the system. From the VMware vCenter Installer select vCenter Server option then click the Install button. 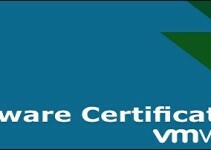 The process checks the system for any missing component required by vCenter then performs the installation if necessary. If not already in the system, Microsoft .NET Framework is installed by the wizard. Once the components have been installed, the wizard is ready to proceed with the vCenter setup. Click Next to start. 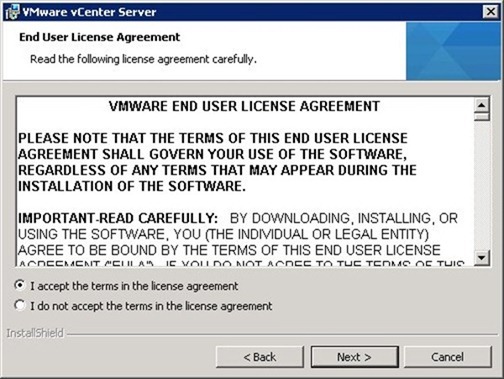 If you have one, enter the license key here otherwise click Next to install vCenter in evaluation mode. Because vCenter needs a database to store the infrastructure configuration, select the DSN previously created in the Data Source Name field if an external MS-SQL instance is used. If an MS-SQL server is not installed in the network, the wizard will install Microsoft SQL 2008 Express to support max 5 hosts or 50 virtual machines. Click Next to continue. DSN is set to use the integrated Windows authentication then no credentials have to be specified to authenticate the user. Click Next. Enter the Account password used to run vCenter service and type the vCenter FQDN. Click Next. 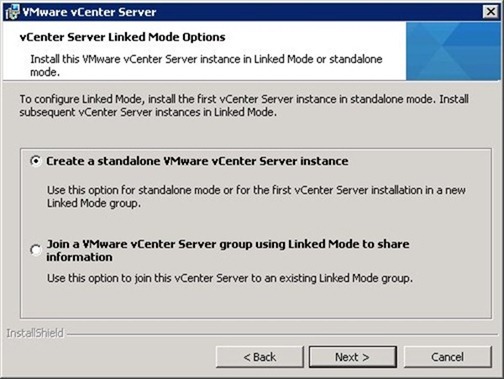 Select the option that match your infrastructure configuration then click Next. If you don’t need to modify any parameter, leave default values then click Next. Select the Inventory size of the network then click Next. 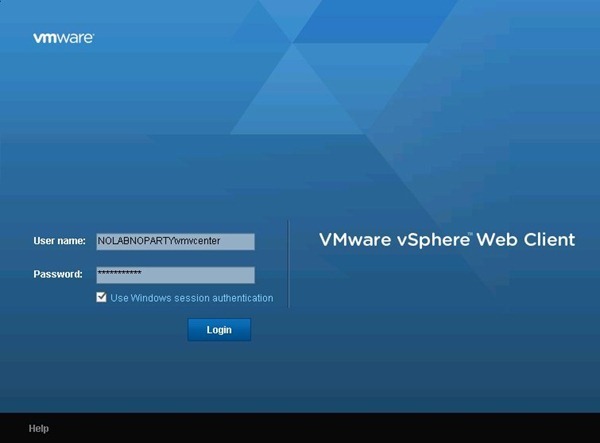 Type the SSO administrator and password to register vCenter with Single Sign-On. Enter the vCenter Server administrator recognized by SSO then click Next. Select the destination folder for vCenter installation. Click Next to continue. The wizard is now ready to begin installation. Click Install to proceed. 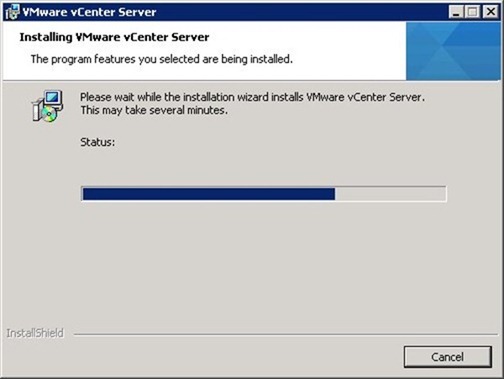 The installation status is shown during the process. 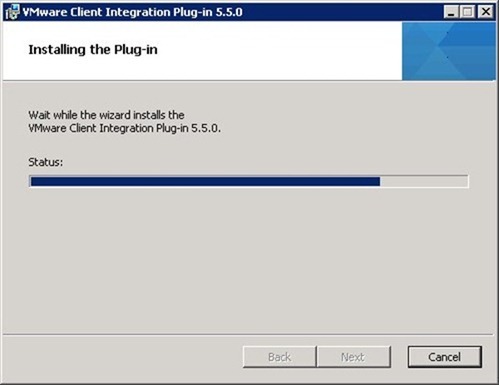 When the installation is completed, click Finish to exit the wizard. 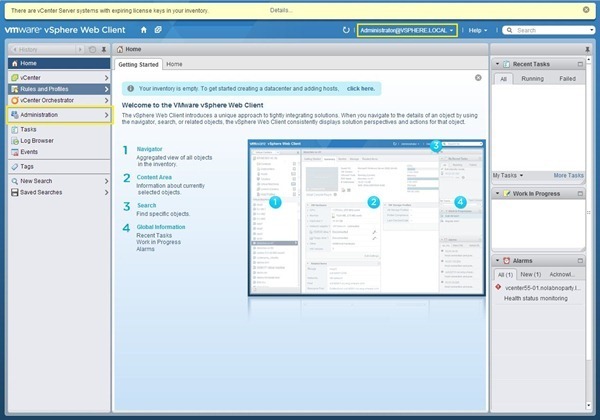 To access vCenter Server you can use the vSphere Web Client web interface previously installed. 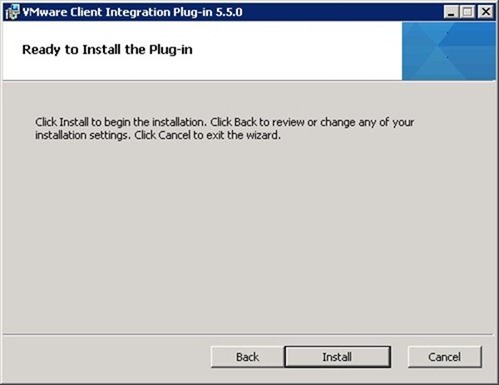 To login using the Windows session authentication option you need to install the plugin in the system. Click Download the Client Integration Plug-in at the bottom of the screen. The plug-in is retrieved from the localhost. Click Run to proceed with installation. The plug-in installation wizard starts. Click Next to continue. Leave default directory then click Next. The wizard is ready to begin installation. Click Install to proceed. The plugin takes few minutes to install. 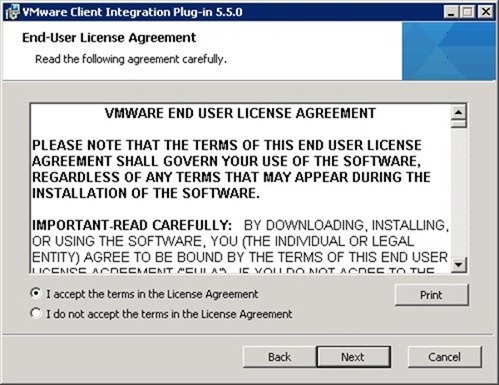 The installation status is shown during the process. 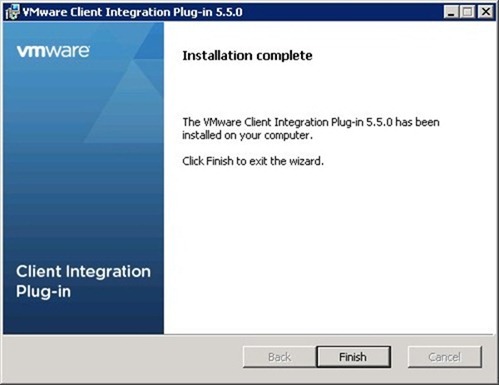 Once the installation is complete, click Finish to exit the wizard. 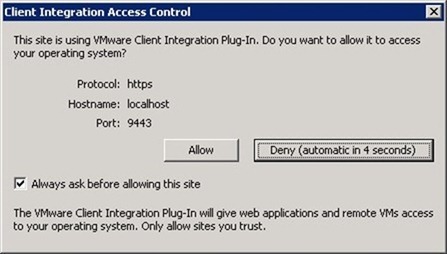 Check the Use Windows session authentication option to login with current user (vmvcenter) then click Login. The Access Control warning window appears. Click Allow to proceed with login. Uncheck option Always ask before allowing this site to disable the warning. You receive a system error related to the authentication process. This happens because vCenter is not yet configured to authenticate users with Active Directory. 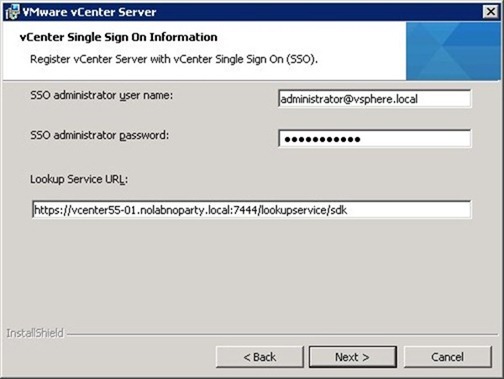 To setup the source authentication (Active Directory/LDAP) in vCenter, enter SSO administrator and password and uncheck Use Windows session authentication option. Click Login. 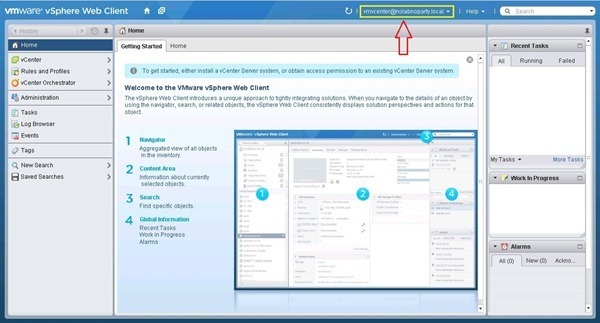 Now you are able to access vCenter with the SSO administrative account. To configure Active Directory/LDAP authentication go to Administration > Configuration > Identify Sources then click the plus + symbol to add the source. 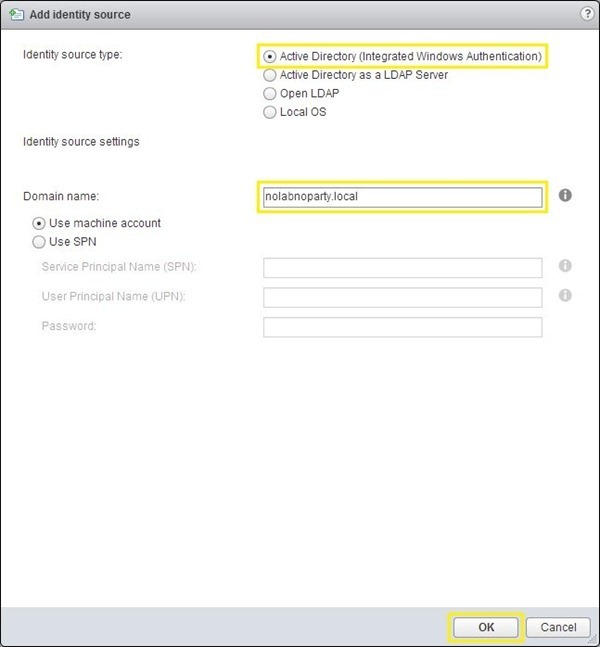 Select Active Directory as Identity source type to enable the Integrated Windows Authentication option, enter the Domain name then click OK to save the configuration. 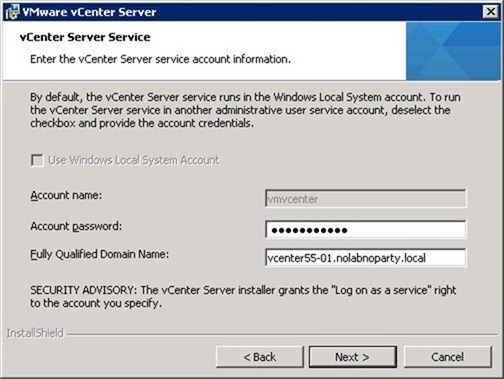 The Active Directory authentication source is then added to vCenter. 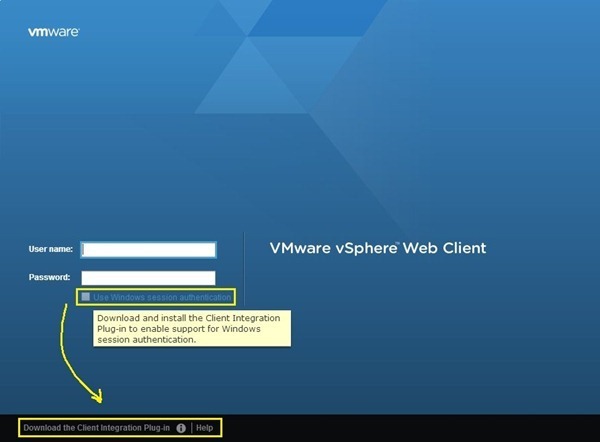 Logout from vSphere Web Client. Now enable the authentication option then click Login. 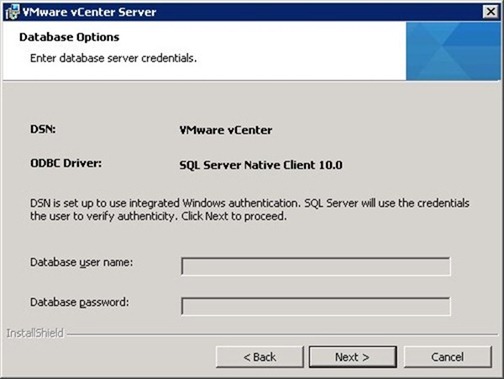 This time the entered account is able to access vCenter because the system performs the authentication with Active Directory. 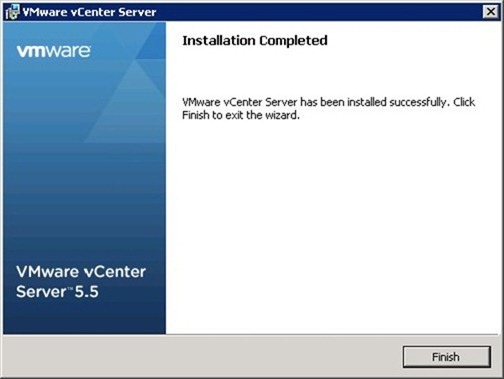 The core installation of vCenter Server installation is complete. You can extend the functionality by installing vCenter Support Tools like vSphere Update Manger. 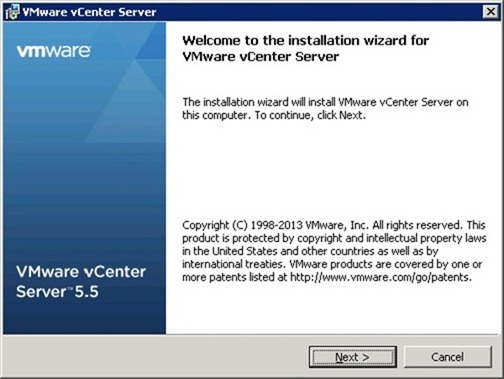 Do you have a pdf file vCenter 5.5: installing vCenter Server? I would like keep that as my Master referance when I am offline. Beneath the signature you can find Print and PDF tools to print or save the post.